Your home is worth what a buyer is willing to pay. Property values generally follow the basic laws of supply and demand, but buyers and sellers also attach value to more abstract factors. These include the perceived cache of the neighborhood, quality of local schools and the aesthetics of the home architecture. Abstract considerations make determining the value of the home more difficult, but not impossible. Economic market influences also necessitate periodic assessments to determine changing home values. Location impacts property values in a significant way. Waterfront houses and gated communities overlooking the ocean typically have higher value compared with other homes, but not all beach property has the same worth due to the location-price factor. A house built on Lake Erie has less value than the same home constructed on the same size parcel in Malibu, California. The most expensive housing locations in 2012, according to ABC News, included homes in Hawaii, Massachusetts and California. NBC News identified areas of southeastern Michigan and northeastern Indiana as having the lowest average prices in 2012. Home foreclosures depress the value of other properties in the area. Renegotiated mortgage agreements and homes sold as short sales -- a term used when banks forgive part of the original mortgage -- also depress home values. Home prices in some areas seesaw between highs and lows due to economic considerations. Kiplinger reported listings of homes in King County in the state of Washington, for instance, fell by nearly 44 percent in 2011, but 2012 sales in the same area increased by approximately 33 percent due to changes in the state's residential foreclosure laws that allowed owners to renegotiate mortgages. Scarcity plays a major role in influencing property values, according to the National Bureau of Economic Research. Employer downsizing, company layoffs and fear of future economic troubles cause some homeowners to sell to reduce monthly financial burdens. Some potential buyers postpone buying until the economy stabilizes. These actions impact the supply and demand for houses and influence home values. A decrease in the number of new houses on the market or new home construction also influences the value of existing homes. The health of the economy has a direct influence on the value of residential property. The national banking meltdown in 2008, including the collapse of some major mortgage lenders, impacted home prices throughout the country. Tighter borrowing requirements, fewer lenders offering mortgages and higher mortgage interest rates all impact property values. 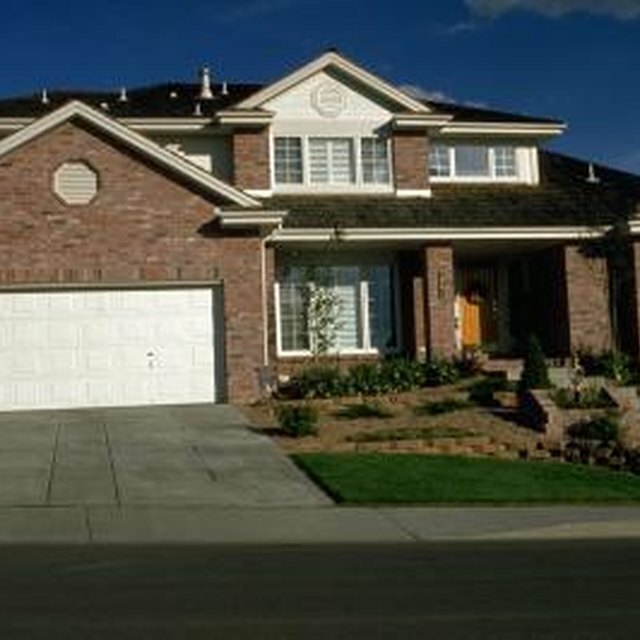 The average price of an American home in 2007, before the national economic crisis, was $313,600. That price dipped to $272,900 in 2010, according to the U.S. Census Bureau, a slight increase from the average of $270,900 listed for 2009.